Property damage liability coverage pays for damages you, are legally liable for resulting from damage to the property of others related to the ownership or operation of covered vehicles. Damage to the other party’s property and legal costs associated with the event are among the types of expenses covered through property damage coverage. Property damage coverage usually is for damage to other vehicles. In some situation people have accidents with buildings or homes, which is why the coverage is called property damage, and no other vehicle damage coverage. If you’re wondering how much coverage you have if you damage another driver’s vehicle in an auto accident. Property damage coverage is what would provide financial protection for damaging other vehicles. 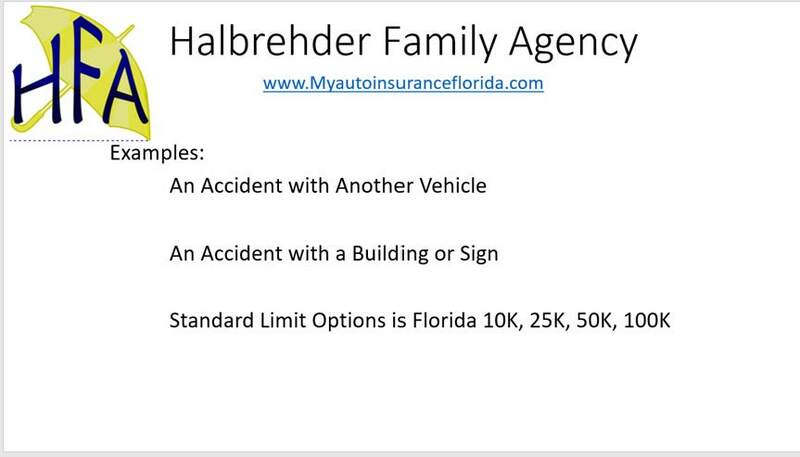 Property Damage coverage is also mandatory on all auto insurance policies here in Florida. All car insurance policies must have at least 10,000 in coverage for damaging other vehicles or property. Property Damage Coverage is one of the mandatory coverages on an auto insurance policy. See video explaining the coverage.